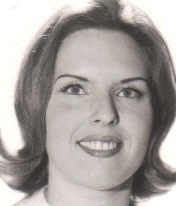 Barbara is survived by her husband of 45 years: Leland Petersen of Flandreau; daughter: Susan Petersen of Sioux Falls; step sons: Robert and wife Gloria Petersen of Worthing, Michael Petersen of Rapid City, and Randall Petersen of Oregon; two grandchildren: Kaity Petersen of Custer, Cody and wife Amber Petersen of Tennessee; great-grandson: Hayden Lee Petersen; sister: Brenda O'Brien; brother; David and wife Connie Engel; nephews; Sean and Timothy O'Brien, and Andrew and Judd Freeman. Services will take place at a later date. The family requests donations be made to the American Diabetes Foundation in Barbara's name.